Members of the House of Representatives have called for restructuring of the Presidential Niger Delta Amnesty Programme put in place by former President Musa Yaradu’a in June 2009. Leading debate on the general principles of a Bill which seeks for the restructuring on Tuesday, June 21, 2016, Hon. Oluwole Oke asserted that the Bill seeks the rehabilitation and reintegration of the Programme for proper implementation; adding that better articulation and organization of the Programme to serve the purpose of disarming, re-educating and reintegrating the ex-militants into the society without fear of them constituting a threat to the general public is cogent and in order. He stated that the Programme has not been effective because it lacked a clear cut guidelines for implementation, and also of the view that promulgating a legal framework for the Programme would underpin its relevance and sustainability. On his part, Hon. Ossai Nicholas Ossai posited that the amnesty Programme came as a result of the outcry and yearning of the people of the region and the government of that time reasonably responded to particularly mitigate the challenges faced by the Deltans. He believes it is about time, the National Assembly charted a better and more focused structured Programme for easy implementation and access. 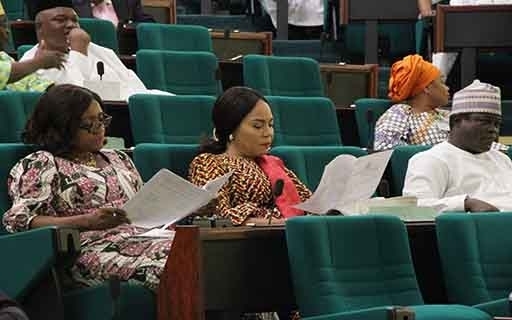 With his submission and that of other members, the Bill scaled seconding reading and referred to the Committee on Niger Delta Development Commission (NDDC). In another development, the House has unanimously passed a resolution urging President Muhammed Buhari to prevail upon the Attorney General of the Federation and other members of the National Executive Council to conduct themselves in line with the Constitution and have some respect for the principle of separation of powers. On the heels of a motion of urgent public importance moved by Hon. T. J. Yusuf, the House also urged the Executive Council to shun the proposed prosecution of the principal officers of the Senate. He cited the case of Kogi State Assembly and continuous decline of invitations of legislative Committees by Ministers as clear demonstration of disrespect for the National Assembly. He cautions that if the move is not checked, the nation's democracy could be threatened. He appealed to the legislators to braze up to safeguard the nation's democratic institutions as well as protect the independence and integrity of the National Assembly.